centers, as well as schools and government institutions. 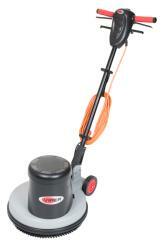 Viper HS350 is a high speed single disc machine designed for scrubbing and buffering tasks. Through professional design, we can offer the machine with attractive quality/price level. Operation is simple and easy to use controls.